SUSPENSE SISTERS: Life's a Beach...unless you live in a suspense novel! Life's a Beach...unless you live in a suspense novel! Oh sure, the beach sounds lovely and relaxing, doesn't it? Unless you're living in a suspense novel! 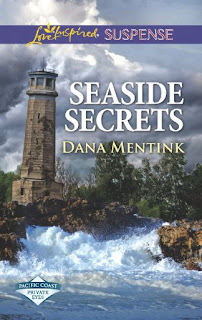 In my imagination, I've been hanging out in Monterey, enjoying the gorgeous California coastline...and dodging potential killers, for my newest release Seaside Secrets. It's an occupational hazard. We fiction writers always imagine what is the worst possible thing that can happen in any given setting. Crazy isn't it? While other folks are collecting shells or building sandcastles, I'm looking at the drainage pipe thinking, "Could I hide from a killer in there?" Terrible huh? Here's a quick blurb from Seaside Secrets. Navy chaplain Angela Gallagher wants to put the past behind her, but she's still haunted by the wartime death of her assistant. So when his brother claims he's in danger and pleads for her to use her family's private detective company's resources to help him stay alive, she can't turn him down. But someone will stop at nothing—even murder—to keep her from revealing their secrets. So while I've got beaches on the brain, what's the coolest beach you've ever been to? We love Natural Bridges in Santa Cruz where the Monarchs stop during their migration and, of course, Coronado which has an ice skating rink right on the beach in December! Giving away a copy of Seaside Secrets to one lucky winner! I love the beach. The coolest beach I know has to be Coolum Beach on the Sunshine Coast. Just so beautiful. 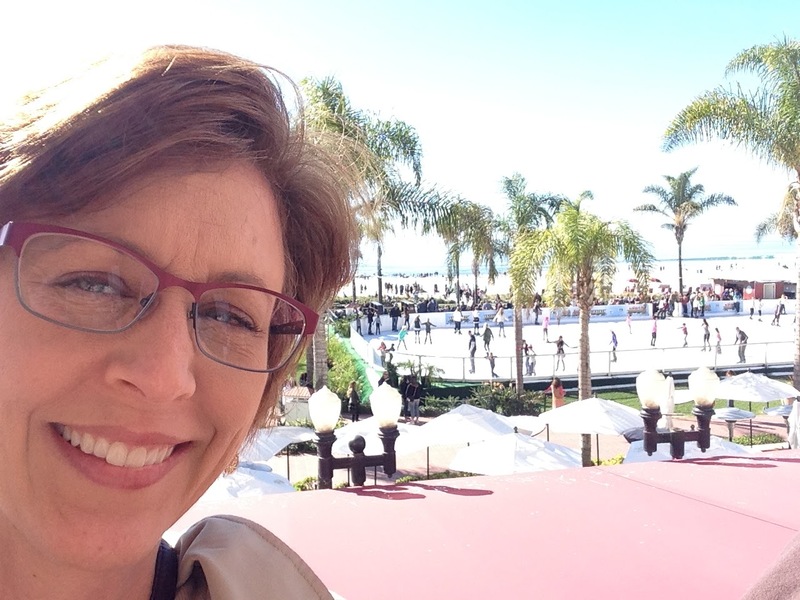 Monterey is lovely, but you usually need a nice warm sweatshirt! I have been waiting for Seaside Secrets since reading book one, Dangerous Tidings, loved it! I live in coastal Va, but we spend a lot of vacation time on Nc. Outer Banks.The coolest beach I've ever been to was on a cruise that stopped in Honduras. The beach was Tabiana, what I liked about it was there were Palm trees all over the beach which provided shade right up to the ocean. Best of both worlds swimming in crystal clear water then cooling off on a shaded beach. Looking forward to this new LIS. Thanks for the drawing opportunity. Glad you enjoyed Dangerous Tidings, Tracey. Oh my! Tatiana beach sounds exquisite! My favorite beach is probably in Destin Florida. It has beautiful white sand. Your book sounds great! My favortie beach is Smith Point in New York. Its an easy drive to get to and I love the crashing waves, warm sunshine, dunes and even the loud seagulls. I would love to read your new book. Love the cover. I would love to see Smith Point! Pismo Beach is gorgeous, Robin! Love the beach! It's so relaxing. Loved the clear water and white sand in St Thomas. Most of my beach trips however, are to Gulf Shores, Alabama, five hours from where I live. I live near a beach. I love going there to read and listen to the water crash against the rocks as the seagulls fly around waiting for handouts. Thanks for the chance to read another amazing book from this author. Oh, "Seaside Secrets" so gooooooooooood!!! The beach in Maui. Fantastic. I would love to go back to Maui! Glass beach in Fort Bragg, California.....Very cool. Oh, that IS a neat beach for sure! I love the beach! I'm so lucky to live about an hour and a half from the beach and am actually going this weekend! I haven't been to many beaches but I do like Lincoln City. They drop beautiful glass floats for everyone to fin! Enjoy your beach weekend, Summer! I can (almost) see my favourite beach from my window - Main Beach at the Mount, in the sunny Bay of Plenty in New Zealand (I can see the sea, but can't see the sand). I love beaches. Lovely to be that close to the water! Love the beach and miss being within an easy drive from home to the beach. Moving back to CO does have a downside. The beaches at the Outer Banks are my favorite to explore and enjoy. You can find a beach all to yourself there. I love beaches too. My favorite was Grand Isle LA pre-Katrina. Living in the middle of the country (Missouri) I don't get to spend much time on them. But when I can, I enjoy every moment! How's the weather in Missouri? Hoping to get to Myrtle Beach soon! Thanks for a great post and giveaway. My sister's and I went to Emerald Isle NC. It was really Beautiful there. I loved the beaches in Hawaii. I grew up in Southeast, Florida. My favorite beach was Sheridan Beach in Hollywood. Not well known. But there's a reef not far from the shore. I used to swim by there and watch all of the tropical fish - natural to that sub-tropical climate. That is the one memory from childhood that I can still see in my mind as if just happened yesterday. Oh wow! What a great memory! Been to only one real beach and that was one in Florida a long time ago. Florida beaches are so different than those here in Northern, CA. My favorite beach is Myrtle Beach. Love South Carolina. Must go there some day! Good morning Ms. Dana I have read a few of your books and really enjoyed them. I would love to win this one. But congrats to whomever does win it. Ocean City, NJ and the beach off of Tampa, FL and Hudson Beach in Hudson, FL. Those are my favorites so far. Thank you to all who posted! I really enjoyed hearing about your favorite beaches! The winner of the book is...Dina McLain! Thank you to all who participated!